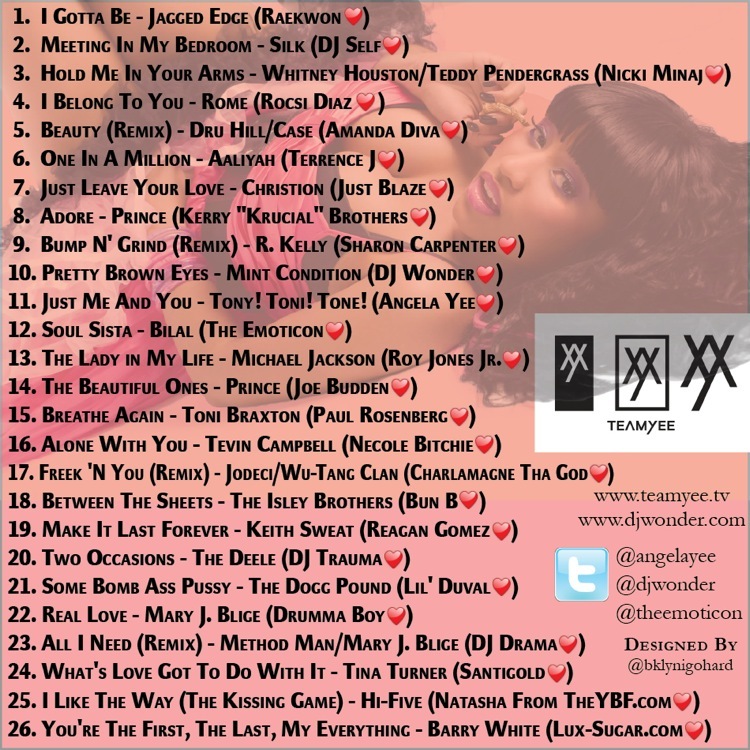 Angela Yee Exclusive Valentine’s Day Mix!! So the story behind this one is that Angela reached out to all her friends to find out what their favorite Slow Jam is. We compiled the list and then I put together the mix. Some of the choices are surprising, but it all sounds good. Happy Valentine’s Day, hope this joint comes in useful!! Whose song pick do YOU like the best? Big ups to Greg aka @bklynigohard for designing the cover, hit him up for any design work. P.S. Our boy Esso submitted a track to go along with the vibe of the mix. Check it out below, video coming soon!